We’re in the middle of the cold and flu season but the next big pandemic is just around the corner. In fact, many doctors and scientists say we’re overdue for one. The idea of a pandemic is terrifying and in recent years we’ve dodged the bullet with the onset of AIDS, Ebola, SARS and recently with the H1N1 virus. 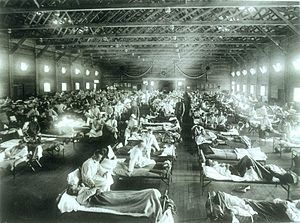 The last really major pandemic that humanity faced was the Spanish Flu that occurred during World War I in 1918 and killed roughly 50 to 100 million people worldwide. The disease was so widespread and lethal to soldiers that many feel that the disease helped end the war. 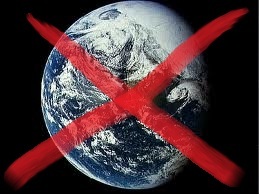 It is still considered to be the worst modern pandemic to strike humanity. The other horrible pandemic that threatened humanity further back in history was the Black Plague that wiped out a third of Europe’s population in the middle ages. But history is littered with waves of pandemics from assorted diseases like smallpox, typhus and many flu variants. Due to medical advances, we as a whole have been lulled into complacency until very recently. But recent events show that we are still vulnerable. Many fear that soon our antibiotics and other medicines will fail and we’ll be vulnerable to mass death just as our ancestors were. Add to this fear is the specter of biological terrorism. This threat is all too real as seen with the anthrax terror attacks in 2001. It’s very feasible that some nut can obtain a rare flu strain or a manufactured disease and find a way to spread it to the populace. It’s all too easy for our society to fall apart in the wake of a deadly pandemic if a cure or treatment isn’t quickly found. With modern transportation, diseases can spread rapidly and before the medical community is fully mobilized, the contagion could have manifested everywhere. Social norms will be frayed as the disease spreads. People will demand quarantines and closed borders but that won’t do anything to stop the disease. Nevertheless, fear and distrust will worsen with the new migrations of those wanting to avoid contracting the disease. Unfortunately, many of these refugees will be carriers themselves. Additionally governments will try to futilely treat victims and provide adequate health services. It’s easy to imagine hospitals and care centers guarded by mobilized soldiers, who would also enforce curfews and quarantines. But eventually public services will shut down as the death toll climbs. With fewer and fewer guards, cops and soldiers to enforce the law, anarchy follows and thugs will gain control. Once the disease has run its course, there won’t be much of anything left. Humanity will be forced to rebuild. Such fears have been the basis of many science fiction films, books and shows that postulate on the impact of a true pandemic today and the aftermath. The basic storyline usually goes like this: a disease wipes out 99% of the human (and sometimes animal) population. A handful of survivors then struggle to rebuild civilization. 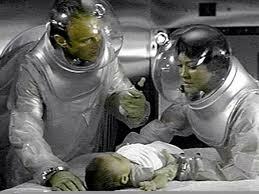 Other times, the story is about the valiant efforts to contain an exotic disease before it spreads. Some popular books that deal with this include Stephen King’s epic The Stand, Michael Crichton’s The Andromeda Strain, Richard Matheson’s I Am Legend, Max Brooks’ World War Z , George R. Stewart’s Earth Abides, and most recently with Clemens P. Suter’s Two Journeys. There are many films that deal with this subject. For example there are three adaptations of I Am Legend (the first being The Last Man On Earth and most recently the 2007 Will Smith version), which is about a plague that turns most of humanity into vampire-like creatures. In 28 Days Later (and its sequel) a man-made virus is accidently released that turns its victims in the U.K. into savage, zombie-like killers. 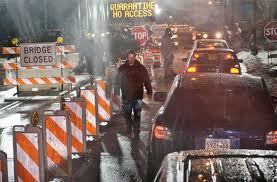 Then there is George Romero’s film The Crazies about a bio-weapon that induces homicidal madness. The Andromeda Strain, about a scientific team trying to eradicate a supposedly extra-terrestrial disease, was made into a film released in 1971 and a recent mini-series. A similar approach was utilized with the 1995 film Outbreak but the disease was less exotic in origin but just as deadly. 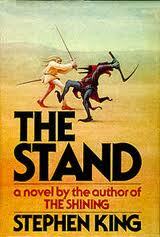 The Stand was made into a well-received mini-series in 1994 and there are efforts to have a remake done. Twelve Monkeys shows us a future where a disease has decimated the world and the protagonist time travels back to modern times to discover how the disease started. The most recent film about pandemics was Steven Soderbergh’s Contagion, which covers in dismaying detail how our society unravels with the onset of a killer virus. With television there are few examples of a modern pandemic wiping out humanity. Two that come to mind are Jeremiah, which is based on a Belgian comic book, and starred Luke Perry as the title character. In Jeremiah, a plague has killed off most adults in the world and it picks up a generation later when the surviving children have now reached adulthood. The other one is BBC’s Survivors, a remake of a series produced in the 1970s, and the premise was about the usual plague survivors finding a way to work together and rebuild society. UPN’s The Burning Zone wasn’t about a post-apocalyptic world but rather about a team of bio-agents who dealt with deadly, unusual diseases including some engineered by a mysterious group who considered humanity to be vermin that needed to be eradicated by diseases. Like many doomsday scenarios there isn’t any way to anticipate the onset of the catastrophe. 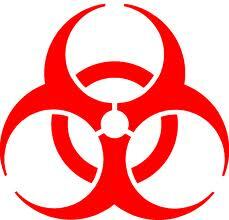 A pandemic could arrive tomorrow or in a few years, but it will happen. So it pays to be alert and safe though and to wash your hands often.